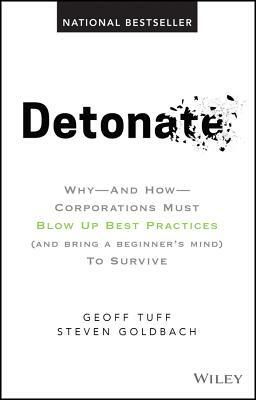 If you want to compete differently in today's marketplace and to challenge the things your company does which you have a nagging feeling are actually just a waste of time - and maybe value-destroying - Detonate gives you what you need to ignite change. GEOFF TUFF is a Principal with Deloitte. He is a senior leader of the firm's Innovation and Applied Design practices. STEVEN GOLDBACH is a Principal with Deloitte. He is the Chief Strategy Officer of Deloitte US and a member of the firm's Executive Leadership Team.